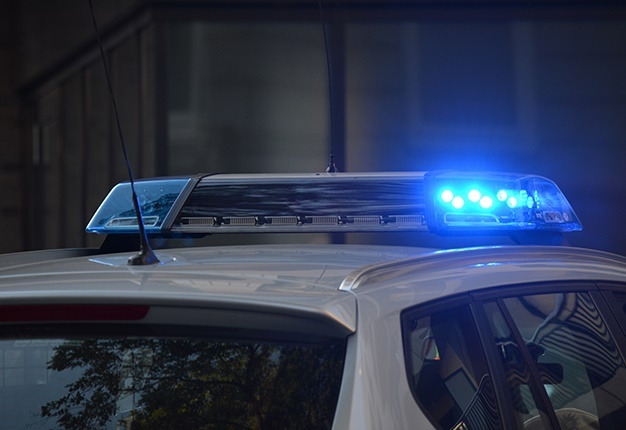 Over the weekend, a document purporting to be offering the services of the Law Society of South Africa and urging motorists to know their rights has again been doing the rounds on social media. Justice Project South Africa has been in contact with the Law Society of South Africa and has also unsuccessfully tried to contact the former Law Society of the Northern Provinces, which has been replaced by the Legal Practice Council, to alert them to this anomaly. The Law Society of South Africa has confirmed the bogus nature of this document and says that it has been intermittently doing the rounds for around nine years now. The "advice" given in this document is not only completely incorrect but is extremely reckless and malicious. Elsewhere in the country, where road traffic offences are still prosecuted using the Criminal Procedure Act (including Ekurhuleni and Mogale City, Johannesburg and Tshwane) warrants of arrest are issued by Magistrates in respect of motorists who fail to appear in court when summoned to do so. Warrants of arrest may be executed by any peace officer, not just a traffic officer or policeman and resisting arrest will almost certainly land that person in even hotter water than they would have been had they simply cooperated. In addition, a peace officer is empowered to arrest any person who commits an offence in his or her presence. No-one may be arrested for failing to carry their driving licence with them, however, they can be issued with a fine for failing to do so.JPSA has repeatedly refuted several similar bogus documents and will continue to do so. 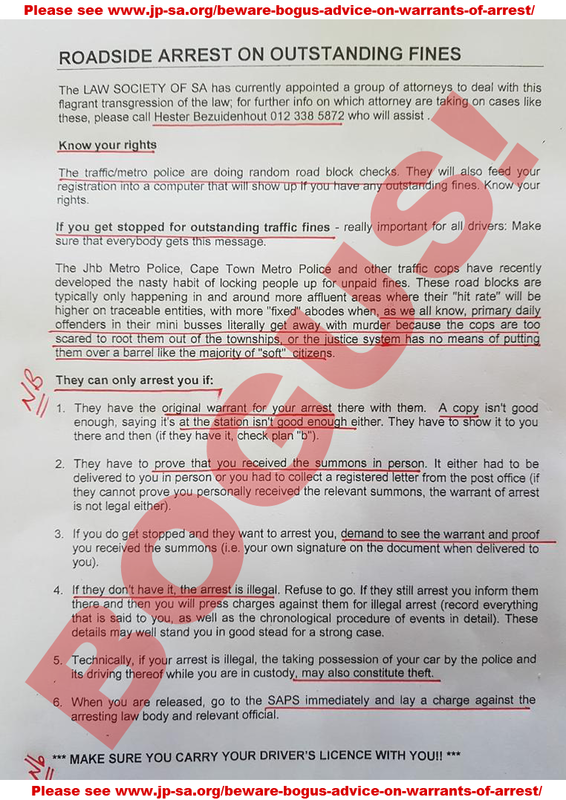 We advise motorists NOT TO follow ANY of the "advice" in this bogus document doing the rounds on social media. It is particularly important for motorists to know their rights and responsibilities around this time of the year because the festive season is almost upon us and with it will come intensified roadblocks all over the country. For further details on your rights as a motorist, click here.